Kalabari-born Ijaw activist the Senior Advocate of the Niger Delta (SAND) Revd. Dr. Sokari Soberekon has advised the Federal Government of Nigeria to restructure the country before it is too late. Speaking to newsmen in Port Harcourt Wednesday, in reaction to calls by some Nigerians on the military not to take over power again, the septuagenarian activist warned that the continued delay by the Federal Government in restructuring Nigeria may jeopardize the unity, peace and sovereignty of Nigeria. He said that should the military interfere in governance again, they would not fold their hands and allow any group of people to break away and in trying to stop the group, they will resist and that could lead to another war. “At 75, I don’t want to see another war in Nigeria. No country fights war two times and survived it”, he said. 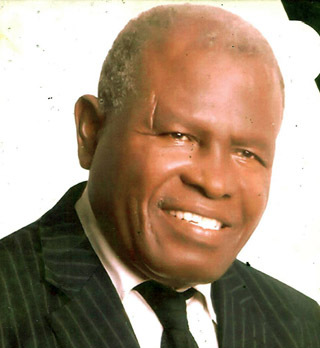 Dr. Soberekon who persuaded former President Shehu Shagari, post-Prof. Ambrose Alli litigation, former governor of old Bendel State to approve oil derivation for Rivers and other oil producing states in 1981, also called on Igbos to use prayer and fasting to agitate for the freedom of the Igbos, no Biafra – which he said is a sea-god identified with the Kalabari of Rivers State (mammy water). He, however said that apart from Igbos, the Niger Delta also wants freedom. On the May 30 sit-at-home protest declared by IPOB, Dr. Soberekon advised the group not to engage in street demonstration, especially in Port Harcourt, warning that such public protest could provoke the military to clamp down on them and even withdraw he Amnesty granted Biafra in 1970 after the war. He advised the group to use the sit-at-home protest to fast and pray for the freedom of Igbos and other groups asking for freedom, including the Niger Delta, whose agitation for freedom prompted Isaac Boro to declare Niger Delta Republic. He advised all groups agitating for freedom to adopt names that are aboriginal to their own culture for their desired countries. Meanwhile, Ijaw activist and one of the living founding fathers of old Rivers State, Rev. Dr Sokari Soberekon, has called on the President Muhammadu Buhari government to use the more than $40 million recovered in lkoyi, Lagos State, to rebuild the Port Harcourt Main Market which was destroyed during the civil war since 50 years ago. Speaking to newsmen recently in Port Harcourt in reaction to the money, Dr Sokari also urged the Buhari government to use part of the money to build a permanent primary and secondary school for the police at the CPS football field that is currently being used as a dumping ground for scraps of old vehicles, adding that the police children’s school that is temporarily occupying the site of the Port Harcourt Main Market should be relocated to CPS football field. Explaining further, the Ijaw strongman, who in 1981 forced then President Shehu Shagari to approve oil derivation for Rivers and other oil producing states after confronting him at the Civic Centre in Pa Harcourt over the issue, said the recovered money is part of the crude oil revenue which Rivers Stat is a major producer hence it would be just and proper to channel it towards the development of the state which has suffered so much neglect since oil was found in the state many years ago. Dr Sokari noted that the temporary occupation of the site of the market by the Police Children’s School is a violation of the right of the people, adding that neither the Onitsha main market, the Sabongari market in Kano nor the Yaba market site in Lagos can be occupied by the police or any government agency for up to 50 weeks. He explained that the police can use the Sharks Football Stadium which is a walkable distance from CPS, for its sporting activities, recalling that the Police Force had always produced great footballers and athletes for Nigeria.